When adidas pulled a coup in the summer of 2015 with the signing of James Harden to a $200 million dollar deal, it was not if, but when that Harden would get a signature shoe. After that deal was signed, Houston had some serious chemistry issues during the 2015-16 season that resulted in a lackluster regular season and a first round exit in the playoffs. However, with a new and improved coach as well as a roster of players that understand their rolls, the Rockets and Harden have been the surprise (to some) of he new NBA season. How does does the MVP candidate’s shoe stack up with his on-court performance? 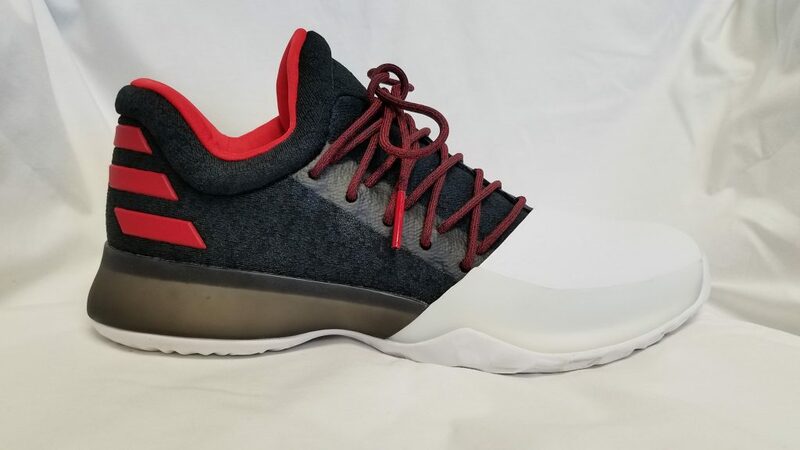 For a player whose game is predicated on trickery and deception rather than overwhelming athleticism, it was imperative that adidas come up with the most court grip possible for Harden. The company tracked Harden’s movements on court with some next level gear but curiously ended up using a Fibonacci-inspired pattern instead. In practical terms, the pattern is multi-directional hexagonal shapes, with the pattern being the most dense, shallow and firm at the ball of the foot as it fans out. This tightly spaced area at the ball of the foot is made to act as a natural pivot point with the most grip. Presumably it works with Harden, but for this tester, it was inconsistent. Maybe adidas could’ve made the denser “sweet spot” bigger, opening it up to more varied wearers. Overall, it’s a solid setup that gives good floor contact. The rubber used does have good “bite” on indoor surfaces. On clean floors and when freshly wiped, the traction is great but the moment dust enters the picture, be prepared to wipe. Lastly, there are concerns about its long-term effectiveness, especially when used outdoors. The traction pattern is very shallow. A few extended runs, especially on unforgiving outdoor surfaces, could render the Hardens into bowling shoes. 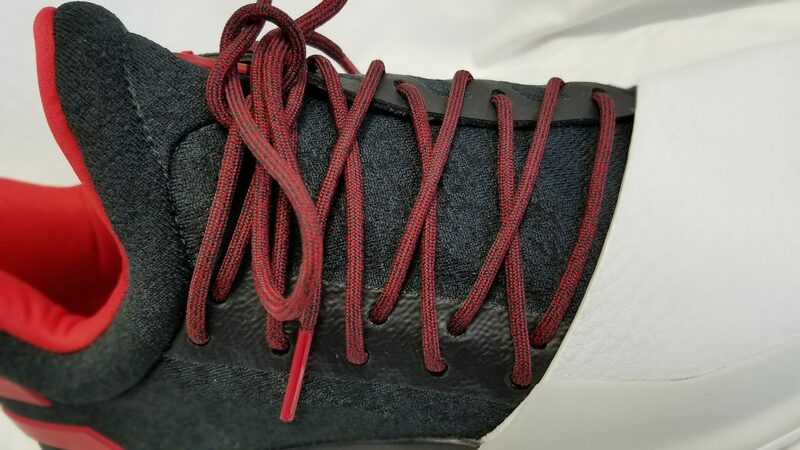 Like with all of adidas’ basketball offering that feature Boost, adidas had to cage the lateral side of the Harden Vol. 1 with TPU in order to allow the Boost to expand. Full-length Boost provides a low profile yet bouncy and comfortable ride and the Harden stays true to that formula. These feel like they play lower and slightly firmer than the Crazylight Boost 2016. The result is great impact protection overall without feeling mushy like an Ultra Boost. The drawback to the TPU wrap is that the Boost on the lateral side is sheathed in tinted material rather than truly being exposed. But the alternative to that is foot instability. If you’ve ever tried to ball in a pair of Ultra Boosts or NMDs, you’ll understand. It bears repeating: If you’re new to Boost in a basketball shoe, don’t expect it to feel like running Boost. It’s a firmer ride but is one of the best foam-based cushioning systems on the market. You’ll feel the protection on your joints on heel strikes and landings. Forefoot Boost is thinner so it’ll be a noticeable difference but you’ll also appreciate how responsive it is. How low can the Harden Vol. 1 go? So low that the support comes from just the fit and the very sturdy heel counter. 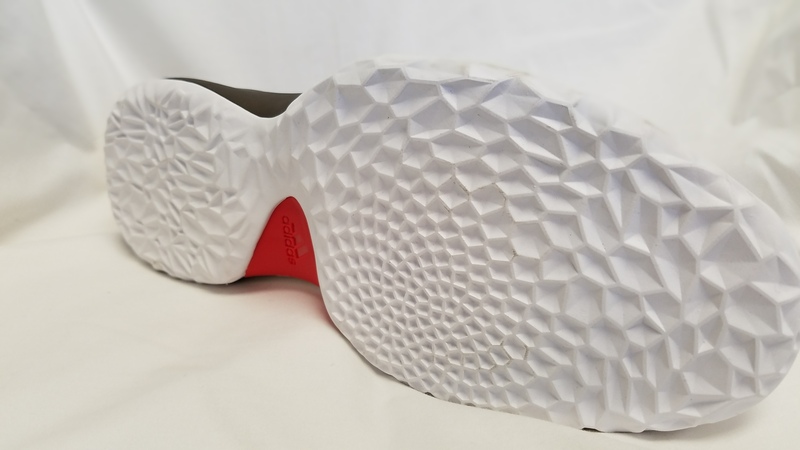 Stability is outstanding in the Harden due to the full length TPU cage on the lateral side that wraps partially around the medial heel as well. It also does not feature an outrigger but is contoured and wide at the forefoot. In addition, adidas has a plastic infinity shank similar to the one seen in the Crazy Explosive for torsional stability. While some may see it odd that adidas opted to forgo any tech bells and whistles to accomplish such stability, it can also be seen using design and engineering to solve a problem that too often is relied on an extraneous addition to the shoe. All that being said, the Harden Vol. 1 might be the most stable low I’ve ever played in. Lateral containment is excellent in the Harden Vol. 1. 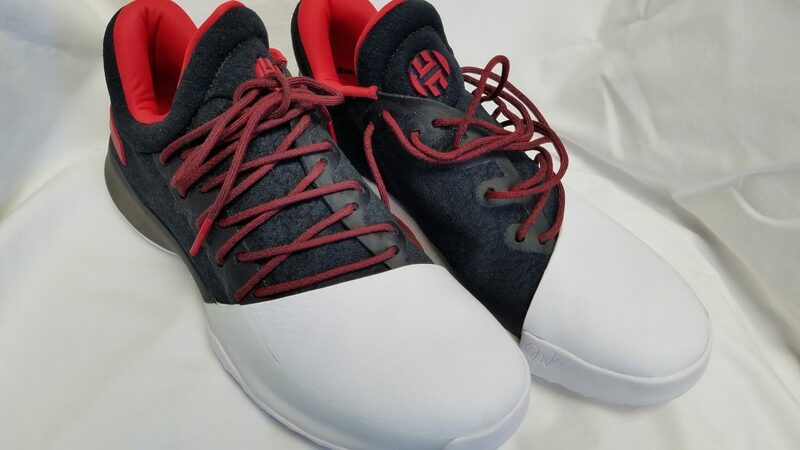 Hard cuts, changes in direction and eurosteps—all signatures of Harden’s game—are no problem as the shoe keeps your foot over the footbed thanks to the leather toe cap and “roll cage” as adidas puts it. The toe cap is really there for ornamental purposes, but it does help to keep the foot stop the shoe. 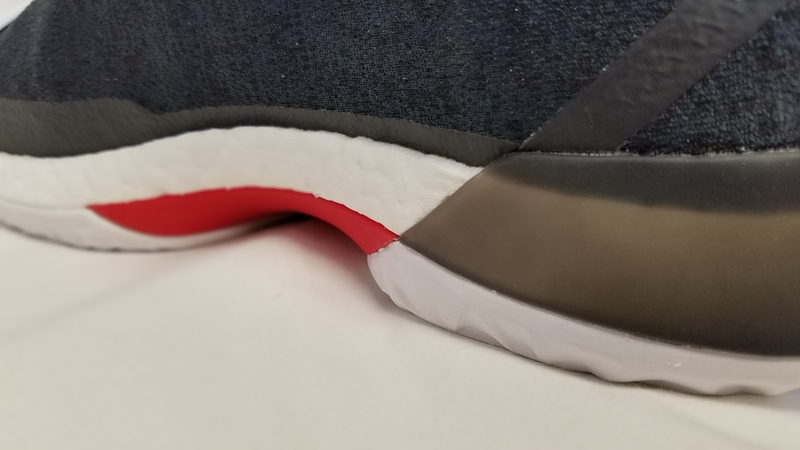 The front outsole comes up over the toe cap, to help reinforce it and lock the front down a bit, but with the soft leather material of the toe cap, we question how much it actually helps. Ultimately the credit to foot containment goes to adidas for creatively coming up with a shoe that stays one-to-one with the foot. I suggest half a size down for everyone but wide footers to provide the best fit possible. I had some arch pain due to the narrowness at the midfoot so going true to size helped my wide flat feet. The key feature of the fit of the Harden Vol. 1 is the lacing system. Adidas eschewed the minimalist lace setup they used on the Crazylight Boost 2016 and Crazy Explosive to go with an asymmetrical set up on the Harden that wraps alongside the natural contours of your foot rather than forcing the shoe to your foot. The one caveat is the laces themselves. They are painfully thin so it takes some effort to get the lace pressure correct, but once you’re locked in, you’re set due to all the double holed eyelets. There were some heel slippage issues on the Crazylight Boost 2016 but adidas used that shoe as a learning moment, moving the top eyelet back on the Harden Vol. 1 towards the heel some more which avoided the problem altogether. The materials are dependent on the colorway as well as the price point. The $140 model, such as the Pioneer reviewed here, features full length knitted mesh backed with fused overlays for additional reinforcement. The most glaring element is the high quality leather toe cap that serves as a nostalgic homage to ’90s shoes. 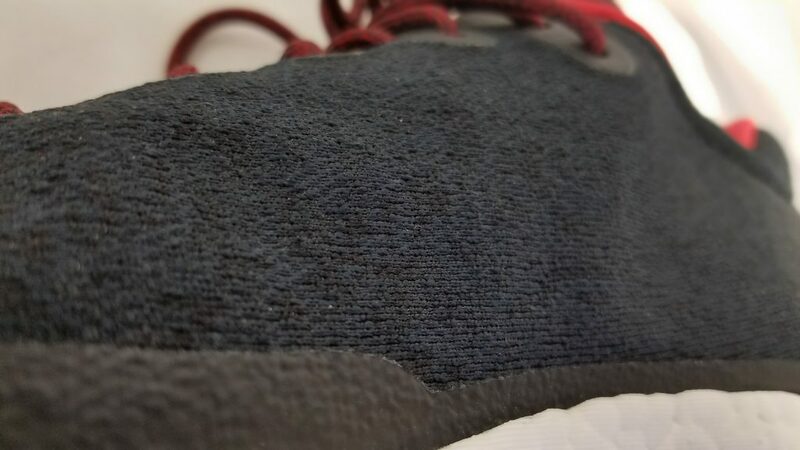 The $160 model, uses their proprietary Primeknit upper instead of mesh but is still backed by the same synthetic seen on the less expensive model. I found little to no difference in flexibility between the two models due to the use of the same backing. 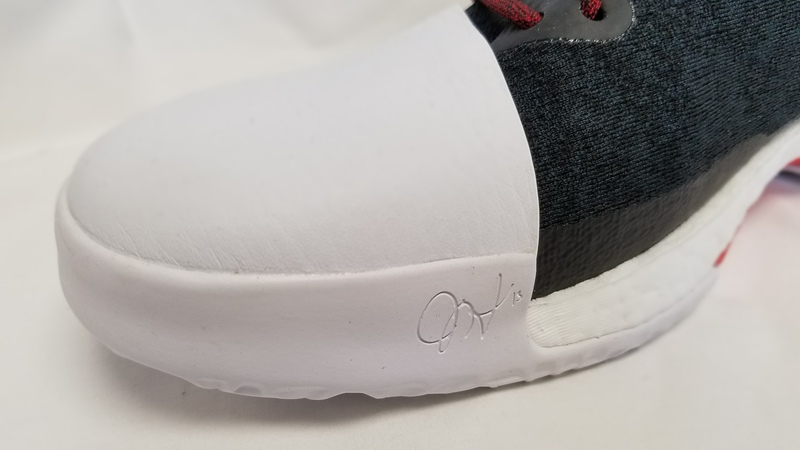 It took over a year for adidas to bring to market a signature for its premier basketball athlete, but it was worth the wait. The Harden Vol. 1 is another viable offering, giving the basketball consumer a lot of tech at a fairly modest price of $140-160. In years past, this price point would have seemed like a bargain but Nike has dropped their signature shoe prices as well so these prices run in line with other brands. The things we dig about the Harden Vol. 1 is the containment and cushioning. On both fronts it should satisfy most wearers out of the box. 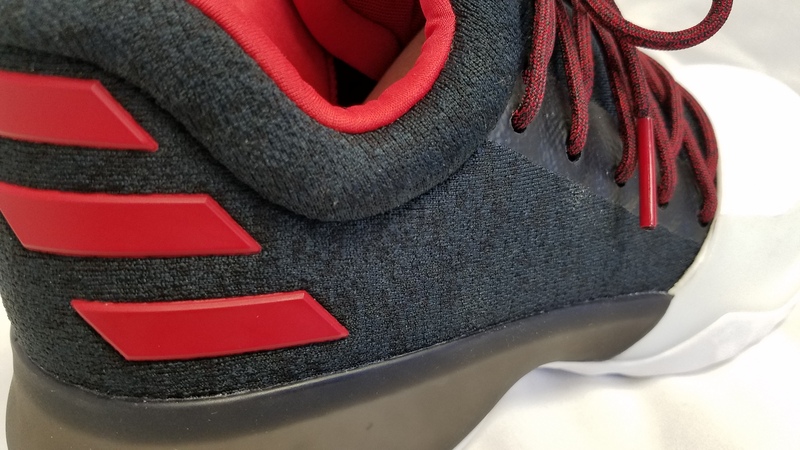 The lacing system will require some micromanagement with every wear session and the traction did take a step back in overall performance and durability in our opinion, but it was a small step (certainly not like Harden’s actual stepbacks on the court). There was some break-in time with the shoe, which is becoming increasingly more rare with modern basketball shoes. We point the finger at the leather toe cap, which requires some softening and few wears to break down the stiffness. Overall, the Harden Vol. 1 is an improved version of the Crazylight Boost 2016 (which Harden wore exclusively on the court). It performs solidly on the court and provides great value with the use of full-length Boost as well as premium materials on the upper, as well as an MVP candidate co-signing the shoe.